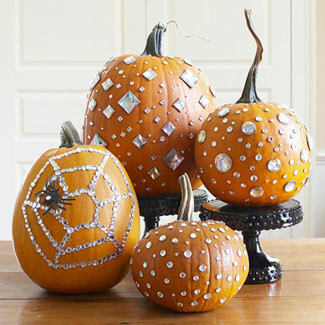 Put the carving tools down, and reach for the hot glue gun and a bag of rhinestones! As an alternative to carving your pumpkins with scary faces this season, consider embellishing pumpkins of all sizes with sparkling rhinestones. 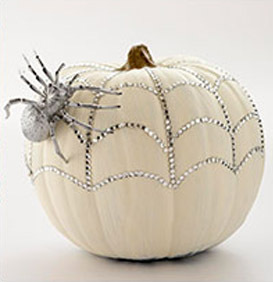 For extra flair, add a coat of black or white paint to your pumpkin before bedazzling. 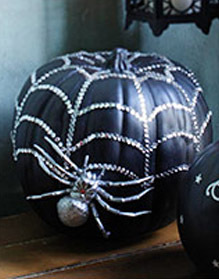 Place a silver-painted spider on the side of your pumpkin for a finishing touch that is oh-so-creepy, yet totally chic.